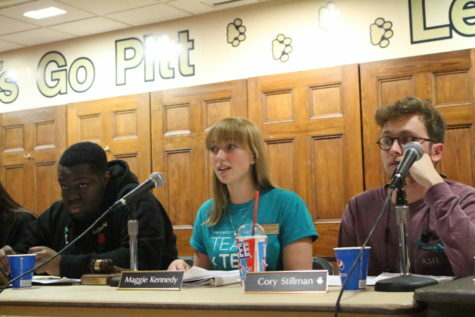 Pitt’s graduate and undergraduate student governments, along with other members of a working group, have called on the University Senate Council to commit to focusing on diversity and inclusion in the 2016-2017 school year. At Wednesday’s monthly Senate Council meeting, council members listened and responded to the proposition, where Student Government Board and the Graduate and Professional Student Government outlined four concrete initiatives focusing on diversity and inclusion. Chancellor Patrick Gallagher and Frank Wilson, president of the University Senate Council, called on students, faculty and staff to urge state legislators to pass a budget, as well. The Senate Council Group on Diversity and Inclusion presented four potential courses of action to make Pitt more diverse and inclusive. 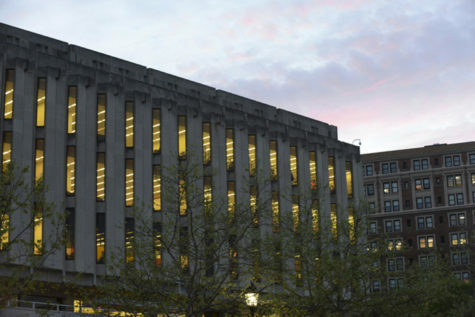 As a foundation for the initiatives, SGB president Nasreen Harun, SGB members Everett Green, Meghan Murphy and Natalie Dall, GPSG president, Joseph Kozak and other members of the Group suggested revamping The Pitt Promise. 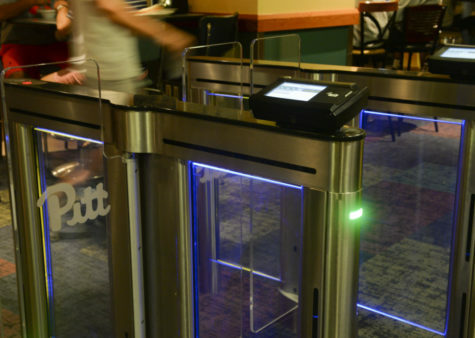 The Pitt Promise is currently an ethical conduct code for Pitt students. Students, faculty and staff would have the opportunity to sign the contract, promising to adhere to new standards of ethical guidelines. 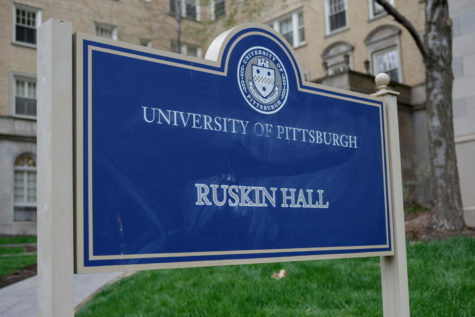 Dominique Johnson, a communication graduate student and head of the GSPG Sexual Assault Task Force, said the Promise will introduce a system for when people act counter to it that includes a way to reinforce it as a part of Pitt community. The pitch for a reworked Promise set the tone for the next SGB-GPSA proposition — making the academic year of 2016-2017 the year of diversity and inclusion. Seeing the success of the Year of the Humanities, Harun said this proposition will bring diversity and inclusion to the forefront of the University’s focuses. “The grants and incentives that come from designating [2015-2016] as the Year of Humanities has really made people think about this topic,” Harun said. 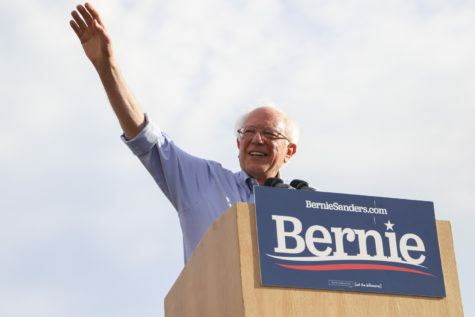 According to the Group, implementing these initiatives will begin at the next Senate meeting, which he hopes to designate to discussing diversity and inclusion in greater detail. The meeting would offer Senate members a chance to extensively discuss diversity and inclusion as abstract concepts. The SGB representatives also proposed an advisory council specific to the Office of Affirmative Action, Diversity and Inclusion. The goal of the council, according to Johnson, would be fostering long-term commitment at every level of the University and facilitating conversations about diversity that would lead to solutions. Gallagher said after four sexual assaults in Oakland within two weeks, various local news outlets reported on the influx. Gallagher stressed that there is no evidence for any sort of increased risk for Pitt students. 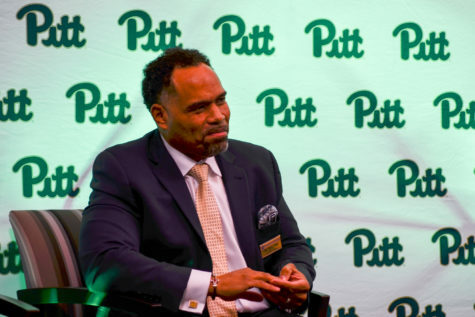 Both the Pitt police and city police are still investigating the separate cases, but Gallagher said there is no “serial” trend related to the incidents. Gallagher said students’ willingness to come forward about assaults signifies a positive step up, regarding campus climate. Interim Vice Provost and Dean of Students Kenyon Bonner said assaults like those over the last two weeks are inevitable in an urban setting, but that doesn’t make them unimportant. “Even one incident is concerning to the University,” Bonner said. The Pitt Board of Trustees proposed increasing financial aid and employee salaries for Pitt’s budget this year, but Pennsylvania’s state budget — due eight months ago — still has not passed. 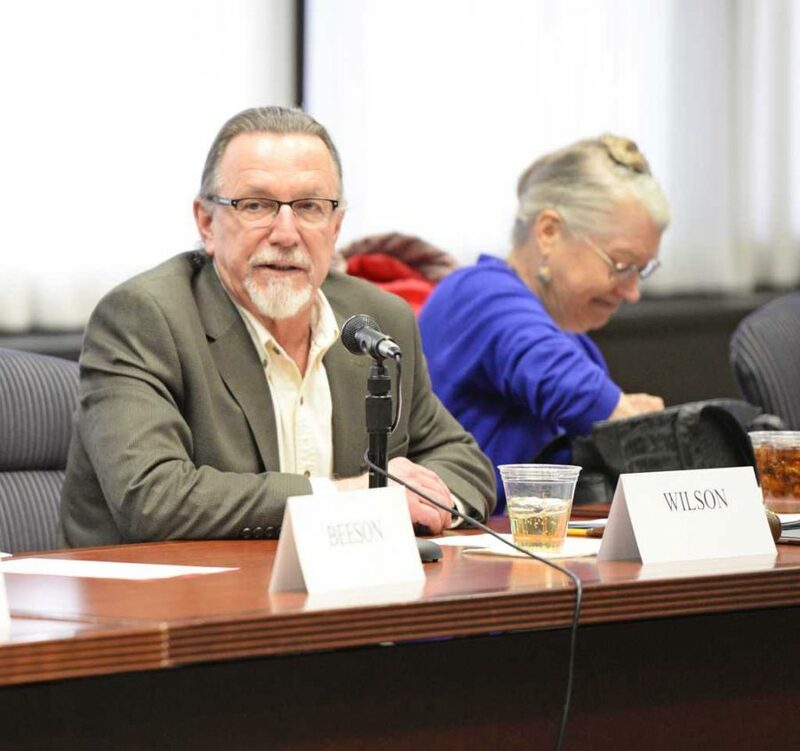 Wilson and other members encouraged faculty and staff to get more involved by writing letters to their representatives and asking their colleagues to do the same. 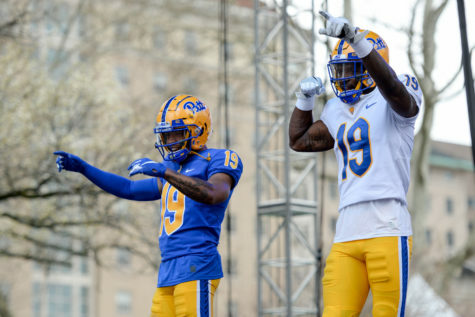 He asked that as many people as possible attend Pitt Day in Harrisburg March 22, so the University’s push for state legislators to pass the budget is firm and clear. Wilson requested a deeper level of political engagement from all students and staff, but specifically called on Paul Supowitz, vice chancellor for community and governmental relations. 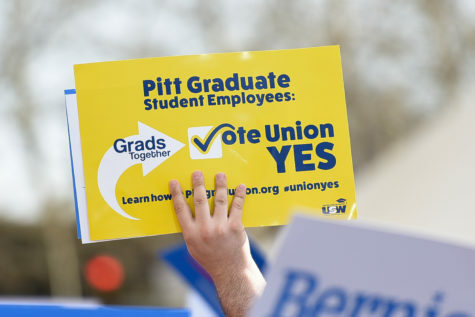 Wilson proposed that Pitt faculty and staff push for a referendum of the legislature, suspending the representatives’ bonuses and pay in the same way that Pitt’s have been frozen. Supowitz said students, faculty and staff can urge legislators to pass a budget through direct requests. 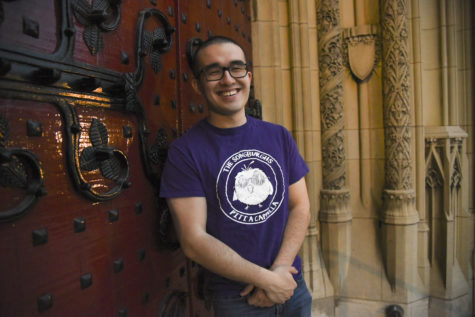 “Students, as well as all other members of the Pitt community — alumni, staff and friends — can all make a difference by contacting their state representative, senator and Gov. 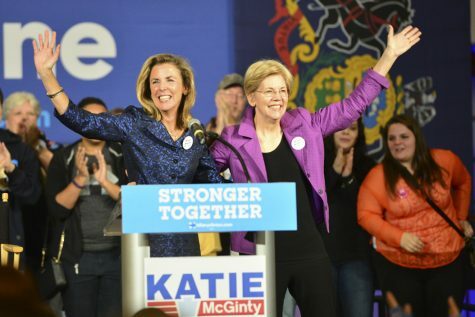 [Tom] Wolf to implore them to put aside partisan differences on other issues,” Supowitz said in an email. Wilson also encouraged students to engage the budget issue. He suggested students also write to their representatives, but he said the best results come from students attending Pitt Day in Harrisburg. Correction: A previous version of this story stated that SGB and GPSG introduced the four diversity and inclusion initiatives. It was the Senate Council Group on Diversity and Inclusion, which includes SGB and GPSG, that introduced the initiatives. The story has been updated.